It started way back in 1975 with when a wide receiver was made the fifth overall pick in the draft by Buffalo. Then in 1982 another Clemson wideout was selected with the 19th overall pick (like Shaq Lawson). Since then three more of Buffalo’s first round picks have pulled talent out of the South Carolina football powerhouse in the last seven drafts. Here’s a look at all of Buffalo’s first-round picks to come out of Clemson. Bills impending free agent RB C.J. Spiller in an appearance on NFL Network Tuesday night said he was contacted by the Bills a short time ago and thanked for his service to the team. Spiller said he now knows he’ll be entering the free agent market next week. “I will not be returning to Buffalo,” said Spiller. Bills free agent RB C.J. Spiller made an appearance on NFL Network’s NFL AM show and was asked about his approach to making a free agent decision if and when multiple suitors are involved. Spiller was asked if it’s about the money or his legacy. C.J. Spiller was just responding to a question, but his answer has some believing he expects to reach the free agent market on March 10th. In an appearance on NFL Network’s NFL AM show, Spiller was asked how he feels about being a free agent, with no new contract agreement in place with the Bills. This was his answer. While you certainly cannot blame Spiller and his representative from having a plan for the free agent market, it also makes it sound less and less likely that the Bills free agent will be back in red, white and blue. Spiller also did say that while he hasn’t spoken to new offensive coordinator Greg Roman, he has studied the 49ers offense and didn’t close the door on a return to Buffalo. Fred Jackson and C.J. Spiller have been the closest of teammates in the five seasons they’ve spent together. Whether that continues remains to be seen, but Jackson has kept in contact with Spiller throughout the offseason and just spoke with him Thursday. Spiller said earlier this week that he’d like to re-sign with the Bills, but there is clearly a gap in the thought process of what Buffalo and the Spiller camp believe is the right deal. Whether the two sides can bridge that gap is something that will have to materialize in the next week or so. C.J. Spiller is mulling over his free agent options with two weeks until free agency opens. He’s aware that as a free agent he’s not only competing with fellow free agent running backs, there’s also a pretty good class of rookies coming into the league this spring. Spiller appeared on SiriusXM NFL Radio and mentioned one running back in particular that he’s followed closely and enjoys watching. Among the items that C.J. Spiller had on his free agent checklist for a team was a great quarterback. Buffalo’s EJ Manuel is not that yet, but Spiller expressed a belief that the third-year quarterback will get there. Appearing on SiriusXM NFL Radio Tuesday, in addition to discussing his free agent options, which include a possible plan to return to Buffalo, Spiller said he believes EJ can be a winning quarterback in the league. “I believe he will. The thing that I love about EJ the most is his character,” said Spiller. “He was put in a bad situation last year. He was 2-2 and got benched for Kyle Orton. But at the same time that really helped him learn about the quarterback position. He was a young guy and a couple of his receivers came out the same year with him. So I don’t know that he knew how to handle that. Bills impending free agent RB C.J. Spiller appeared on SiriusXM NFL Radio Tuesday and discussed his free agent options, leaving the door open for a return to Buffalo. Two factors that may work in Buffalo’s favor are their plans to run the ball a lot and their head coach. Spiller has a relationship with Ryan having crossed paths several times at Clemson, Spiller’s alma mater, where Ryan’s son is currently a wide receiver. The Bills back also expressed an interest in offensive coordinator Greg Roman’s system, which will have a strong commitment to running the ball. At the top of Spiller’s checklist of things he wants in a team was being a fit in the offense. It’s day three of our Combine Coverage presented by NAPA. Let’s get to your questions from email at AskChris@bills.nfl.net and on Twitter @ChrisBrownBills. As good of a guy as CJ is..will he really fit Roman’s system? 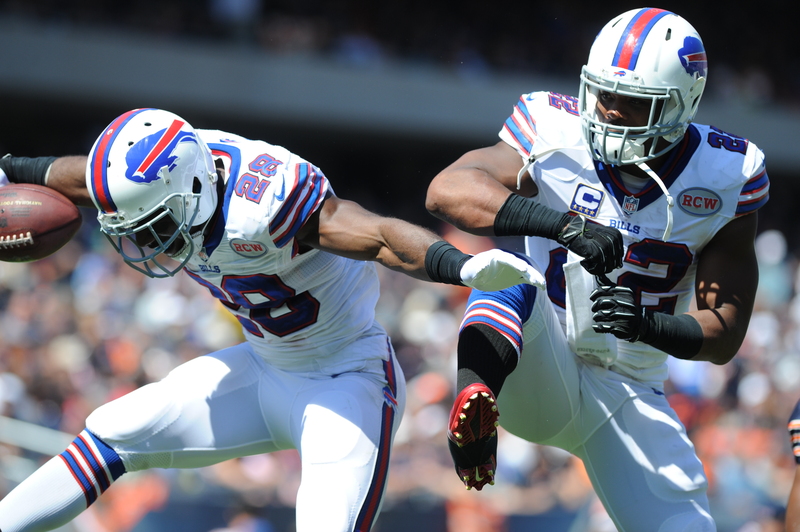 CB: As GM Doug Whaley has said Roman wants a mixed bag of backs that can do different things. Just because you didn’t see a C.J. Spiller type back in San Francisco’s offense when Roman was running things out there doesn’t mean he can’t use a talent like Spiller in his scheme. Whaley characterized Bryce Brown and Spiller as the speed backs, Dixon as the power back and Fred Jackson as the pass catcher/pass protector. So it appears Roman would like to have three or four backs to work with, not to mention a fullback. Additionally Rex Ryan has said that with their coaching staff it’s player over scheme every time, so if they can keep Spiller in the fold they’ll devise a way to make him a productive element in Roman’s system. Do you think OL Ali Marpet will be there in the 4th? CB: I think Marpet opened some eyes at the Senior Bowl when he showed he could hang with the top senior talent in college despite playing at Division III Hobart. He’s off to a good start with his workout here at the NFL Combine as well, running the fastest 40 time among offensive lineman with a five flat. Obviously the 40 time isn’t a major influencer on draft grade for offensive linemen, but Marpet is legitimizing his ability to play at the NFL level. The Bills did meet with him and though he played tackle in college, he projects to guard in the NFL. Will he be there in the fourth round? It’s possible. He could also be gone in the third. Thanks for providing a forum for fans to express opinions and ask questions. With all the QB’s available in Free Agency, College, Canadian League, other pro leagues, I can’t grasp the Bills unable to develop one over the last 20 years. We seem to have chosen one alone and spend all our resources in proving we were right to pick them, rather than looking for the one who pops out and distances himself from the others. Brady popped out, as did Wilson, Romo, Foles etc. I’d be interested if you think this process will change with the new regime ? Also, if we have two QB’s, shouldn’t they be similar in style, either mobile or pocket passers, so if one is injured the offense doesn’t have to change to adapt to two different styles, like last year with Manuel and Orton ? CB: I think the Bills are more apt than ever to add another young quarterback to the roster, especially with a thin free agent class of options at the position. Adding two veterans is probably unlikely so a vet and a young player is the most likely combination to fortify the position on Buffalo’s roster. I found it interesting that Doug Whaley and his personnel department intend to meet personally with every quarterback prospect here at the Combine not named Mariota and Winston. After the Combine they also will dispatch QBs coach David Lee to go and work these quarterback prospects out at or around their pro days. Whaley described their planned search to be exhaustive. He mentioned this on the John Murphy Show and in addition when asked about the philosophy of drafting a quarterback every year he said he was not opposed to it. I would think similar style quarterbacks would make sense, but sometimes you’re willing to sacrifice similarity if it means getting a better player overall. Could you please explain to me how David Lee, who couldn’t get Jets quarterbacks to play better, is going to help EJ Manuel and any other quarterback we have on the roster ? CB: Rex Ryan has answered this question. David Lee is an expert when it comes to teaching quarterback fundamentals, and really that’s his main job with the signal callers on the roster. To keep their mechanics sound. That’s easier with some quarterbacks than others obviously, but knowing the worker that EJ Manuel is I would anticipate seeing improvement in everything from Manuel’s footwork, to the consistency of his arm angle, release point, hip drive, etc. While you may knock the results in New York with Geno Smith, David Lee successfully turned Tony Romo from a third string QB into a Pro Bowl starter. I’ve talked to David Lee about that transformation and he said the only reason Romo was successful was because he wanted to work at it. Romo needed to make 10-thousand throws to improve his passing efficiency because his release point was too low as a younger player and too many of his passes were getting batted down at the line. But he worked with Lee every day. Knowing that Manuel has a similar work ethic, I think we’ll see a difference with him too. I was very disappointed to see Jim Schwartz leave considering the outstanding work he did with the defense last year especially with stopping the run. Now with Rex Ryan in the fold, the defense will most likely look very similar to what we experienced during the 2013 season under Mike Pettine. With that said, our run defense was not very good under Pettine. Is there real reason to worry it might struggle again with Rex Ryan going back to more of the 3-4 hybrid system that Pettine used? I know we have an outstanding defensive line but they seemed to be in better position to stop the run under Schwartz’s system. What are your thoughts on this? Thanks. CB: I don’t think there should be a big worry about the run defense. Yes, Schwartz did simplify things, which made it easier to execute. By the same token Rex Ryan defenses have almost always finished in the top 10 in run defense. Buffalo finished 11th last season. So if anything it could improve under Ryan based on the track record of his defenses. The Bills have stated all along they’d like to return C.J. Spiller to their roster knowing he’s eligible to become a free agent next month. Head coach Rex Ryan reiterated those wishes at the NFL Combine Wednesday. When asked if running back is a priority positional need this offseason Ryan said the level of priority would be impacted by how things play out with Spiller. “If C.J. Spiller is on board then that need becomes a lot less,” said Ryan. Don’t forget our NFL combine coverage begins in earnest over the weekend leading up to our coverage in Indianapolis at Lucas Oil Stadium Tuesday presented by Napa. Let’s get to your questions from email at AskChris@bills.nfl.net and on Twitter @ChrisBrownBills. Are there specific areas that EJ has improved in by watching Orton from the side lines? Also, how is his relationship with the other players now, compared to before he was replaced by Orton? CB: He told me specifically that he learned about what’s most important to focus on during the week leading up to the game from a game plan and opponent study standpoint. Manuel said in the past there may have been some things he spent too much time on in his preparation that didn’t carry as high a priority as other aspects of his film study. I also felt he became more accurate in the practice setting when it came to hitting his targets in rhythm and on time. I think we all recognize that it’s a different thing when it’s game speed, but those are two areas where he benefitted by being able to focus on his game for the last 12 weeks of the 2014 season. Loved this guy coming out of college. What is your opinion of Hoyer? Do we get another journeyman QB or go for a big Trade? CB: I don’t think a trade to acquire a quarterback can be ruled out, but the Bills have limited assets in the way of draft choices (no 1st or 4th). Hoyer is a limited NFL QB. I believe everybody recognizes that. I think the more likely scenario is picking up a veteran in free agency and then drafting one in the middle rounds. 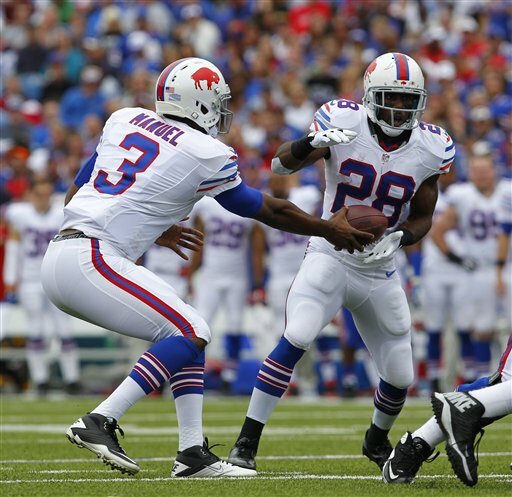 How much do you think Hughes/Spiller are asking for and how much do you think the bills are willing to give them? Also do the Bills still have their franchise tag and if so would they use it on Hughes? Is adrian peterson an option if C.J. spiller takes his talents elsewhere (ny jets)? What are they gonna do about their QB situation??? Are they gonna draft maybe Hundley in 2nd round, sign Mark Sanchez or maybe trade for Sam Bradford or Jay Cutler? CB: It’s my belief that Jerry Hughes’ agent will be looking for pretty big money and here’s why. Over the last two seasons Hughes is tied for the fourth-most sacks in the league (20) behind only J.J. Watt, Rams pass rusher Robert Quinn and Mario Williams. He’s tied with Cameron Wake and the Saints’ Cameron Jordan. Watt and Williams are the two highest paid defensive ends in the league in terms of average salary at $16.6M and $16M. They’re followed by Quinn ($14.2/yr) and Carolina’s Charles Johnson ($12.6M). Wake signed his extension back in 2012 and it averages only $6.6M. Now the Bills will probably argue that Hughes plays with three Pro Bowl players on Buffalo’s defensive line and is rarely seeing double teams. But it’s hard to knock a guy that’s producing, and doing it for more than one year. I fear that the Hughes camp will be asking for around $10M a season in a long term deal. That could be a tough one to manage knowing that Mario and Kyle Williams are the top two salaries on the club in terms of average salary already with Dareus sixth on the roster. We’ll see. I don’t think the franchise tag is a realistic option for Buffalo. As for Spiller it will be interesting to see if there’s a difference of opinion on his true value between he and the Bills. Paying top dollar for Spiller is probably difficult to justify in light of his recent history of injuries. There’s no debating his home-run talent and he’s a good teammate in the locker room, but with another new offensive system coming in you wonder how he’ll weigh that into his decision on where to play. There’s also no dismissing the fact that the coach who helped him enjoy his most productive season is the offensive coordinator in New York. Adrian Peterson is a great fit for a power run game, but I’d be surprised if he moves on from Minnesota. The QB situation for Buffalo is obviously up in the air. They have to see who actually makes it to the free agent market or if there are any trade opportunities that might surface. The draft is probably where they’ll add one too. How early is the question. Would the Bills draft an additional running back given the fact that Rex Ryan wants to ground and pound? Two college prospects, Malcolm Brown and Matt Davis seem like good fits, plus they are projected to be drafted in the later rounds. Besides looking at Mark Sanchez, would the Bills look at Ryan Mallet? Or Christian Ponder? I think Ryan Mallet would be the best fit, because he is younger. Obviously, E.J. Manuel is an option, but he has to read defenses better. In summary, Rex Ryan has quite a bit of talent to work with, but if the offense is dysfunctional, it will compromise the efforts of the defense. Even a great defense will fold if its on the field for long stretches of time. CB: I think there’s a pretty good bet that the Bills draft a running back at some point in the draft. This year’s class is deep at that position, thanks in large part to the junior eligibles that have declared. Buffalo needs to add some youth there and a true pile pusher that preferably has some wiggle to his game and receiving ability. With that in mind it’s hard to find the perfect prospect. I believe there are a few that fit all of the criteria well enough in this draft. I do like South Carolina’s Mike Davis. Great person and player in the Fred Jackson mold and carries a bit more power behind his pads. Does everything right and has NFL bloodlines with his older brother James Davis a former 6th-round pick of Cleveland in 2009. You could do worse than guys like Boise State’s Jay Ajayi and Alabama’s T.J. Yeldon when it comes to a power run game. Unfortunately a good number of the true power backs coming out this year aren’t big in the receiving game. At quarterback I don’t know if Mallett is a fit because his skill set is in stark contrast to that of Manuel. I’m not saying he’s off the table, but he’s a strict pocket guy while Manuel has movement ability. How much would the offense need to change from one to the other if there was an injury to the winner of the competition? I know Ryan said Sanchez is a consideration at his press conference, but I’m not sure of that. I do know that there isn’t a whole lot of quality to choose from. In the new defense, where do you see the linebackers position playing out? Kiko did play well in the 3-4 under Pettine. Preston and Nigel did well in the 4-3, how do they fit into a 3-4 scheme. Nigel isn’t a thumper/ pure pass rusher. Will Manny Lawson kick back outside as a pass rusher, same with Hughes (if he can stay?). Curious how this will unfold since this unit had a great 2014. CB: This is an interesting question. I think we can expect to see Manny Lawson on the field more, particularly on run downs like we did in 2013, when Jerry Hughes rotated in on passing downs. I’d expect to see Kiko Alonso on the open side at OLB, then it’s probably Bradham and Brown in the middle in a 3-4 look. He’s going to evaluate C.J. Spiller on tape just like any other player on the Bills roster. That’s part of the job for a new offensive coordinator like Buffalo’s Greg Roman. Of course with Spiller eligible to become a free agent Roman knows he has to play a wait and see game to see if he’ll have him at his disposal in his offense. Of course Roman’s evaluation of Spiller will count when it comes to deciding what kind of investment the team might want to make in Spiller to keep him in the fold moving forward. It was a historical week for the Bills franchise with the hiring of Rex Ryan as the 18th head coach in team history. Now for your questions from email at AskChris@bills.nfl.net and on Twitter @ChrisBrownBills. With the coming to an end what positions do you think need more depth for the offseason besides QB? Offensive line or maybe tight end or defensive end in case Hughes leaves? Can you also explain to fans that the Bills would have taken Eric Ebron, and trading up for Sammy wasn’t as risky as many thought. This year’s list of WRs isn’t as deep. CB: As for positional needs the guard spot is right up at the top. 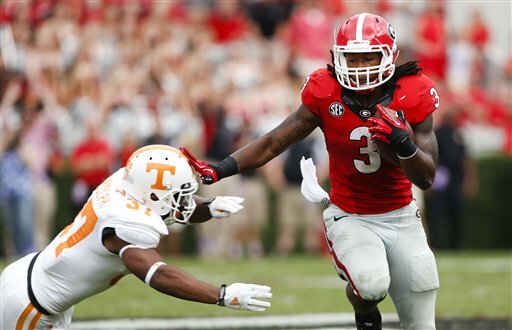 I think a big running back is another potential need for two reasons. First, it’s unclear as to whether C.J. Spiller will return to the team with the ability to become a free agent this offseason. Second, a power run game is going to need a big back comparable to Frank Gore or Eddie Lacy. Buffalo has a big back in Boobie Dixon, but he was relegated to backup duty under offensive coordinator Greg Roman in San Francisco. Fred Jackson and Bryce Brown are capable, but it might be time to draft a young back to add to the mix. An end/OLB would be a need if Hughes doesn’t return, but they can’t wait on that. As for last year’s draft, it was my understanding that if the Bills stayed at nine that Eric Ebron was the most likely target, assuming the likes of Sammy Watkins was off the board. My name is Ben Cary, a dedicated bills fan from West Seneca studying at Miami University of Ohio. Are the Bills interested in pursuing Jay Cutler, now that the Bears might be shopping him? I think he could fix a lot of our quarterback issues. He has the raw talent to make the plays none of our recent QB’s have been able to. I also think he would find success in our run first offense because he wouldn’t be forced to throw the ball as much as Chicago made him. What are your thoughts? Has Doug Whaley thought about this as well? I love the improvement we’ve made this year and can’t wait to see what the future of the franchise holds! CB: If the Bills are interested in pursuing Jay Cutler in a trade scenario they certainly can’t state it publicly since he’s property of the Bears. That could open the team up to tampering charges. While there’s no debating that he is physically gifted as a quarterback there is a reason his second franchise is reportedly looking to move him. I don’t dismiss your point that a run first approach on offense could decrease some of the ill-advised plays Cutler tries to make. While talent is a big asset to have as a quarterback, leadership is a close second and that’s where I think Cutler struggles as a player. I can’t tell you what Doug Whaley is thinking, but it’s my belief that the Bills will look to add a veteran quarterback to the roster. Whether Cutler is under consideration remains to be seen. 3 – @ChrisBrownBills I see the two lineman the #bills have signed to futures deals are both under 300 lbs. Will this be the trend going forward? More athleticism at guard seems logical, right? CB: Greg Roman’s power run game is pretty multiple. That being said having guards who are capable of pulling is a plus. You also have to be able to push the pile so I don’t know that a trend can be taken from the two most recent OL signings. CB: I think Whaley in that radio interview this week was just trying to emphasize the fact that they do not rule anything out with every draft pick they hold. If a quarterback is the best player on the board, and there isn’t a pressing positional need with a prospect that is comparable in terms of grade to said quarterback, then they’ll take a QB. Knowing this is his approach he cannot rule out taking a QB. In reality I see the Bills adding a veteran quarterback this offseason. CB: At halftime there isn’t a whole lot of time. With the coaches from the booth taking an extra five minutes to get down to the locker room, there’s only about 7-8 minutes to go over things. The head coach will briefly huddle with the coordinators before making decisions on various adjustments for the second half. In most cases the teams breaks off into offensive and defensive groups with their coordinators. They address what has to be corrected and then what some of the adjustments will be. After plotting out strategy the head coach or a team captain might say a few inspirational words and it’s back out to the field. Bills new head coach Rex Ryan expressed a desire to get C.J. Spiller back in the fold, knowing he can become a free agent this offseason. On Thursday GM Doug Whaley echoed that sentiment. In an appearance on Bills flagship station WGR Sportsradio 550, Whaley was asked if he sees a place for Spiller in an offense that’s likely to be predicated on a power running game. In his one-on-one interview with Buffalobills.com, Ryan spoke of the friendship he’s developed with Spiller from their run-ins at Clemson, Spiller’s alma mater, where Ryan’s son currently plays football. Bills RB C.J. Spiller has a decision to make this offseason as he can become a free agent this March. GM Doug Whaley has said the team would like to re-sign him for the long term. Could Buffalo’s new head coach have some positive influence on Spiller’s decision? In an appearance on NFL Network Monday afternoon by phone, C.J. Spiller was asked for his thoughts on Rex Ryan. Spiller commented on how he has developed a good relationship with Buffalo’s new head coach, having run into him on several occasions at his alma mater Clemson. Ryan’s son Seth is enrolled at school there and by Spiller’s own account they’ve struck up a good friendship. How much influence that has on Spiller’s decision about his future remains to be seen, but he does like the fact that the Jets in the six years under Rex Ryan led the league in rushing attempts per game at just over 32. Spiller’s decision impacted by head coach? It’s no secret that C.J. Spiller’s production did not come close to matching his ability as a football player in 2014. While there are plenty of reasons to explain why that was the case, including injury, knowing the offense will likely undergo some form of change under a new head coach figures to influence Spiller’s decision as to whether to return to the Bills or explore free agency. As we covered in our story on Buffalobills.com today, Spiller was planning to take his time on making a decision as to what course of action he’ll choose to take concerning his future. That period of time figures to be extended until the dust settles in Buffalo regarding their head coaching situation. Suffice to say if the new offensive approach leans more toward an open style of play it could weigh heavily in Spiller’s decision on returning to the Bills. Make no mistake, money will be the primary factor, knowing this is likely Spiller’s only time in his career to truly cash in being a running back, but the former first-round pick has a broader outlook on life than just dollars and cents. He wants to excel as a player. If he sees Buffalo’s new approach on offense as an opportunity to do so it is likely to be a factor in his decision making. It’s as close as the team has been to the postseason in a decade, so for all of the players on Buffalo’s roster it was an opportunity in Week 16 that the Bills wanted to capitalize on. When Sunday’s outcome did not yield the result they needed, the sting of missing another postseason cut deep. “We’re trying to move this organization up the ladder and when we lose a game like this and we have a chance to get ourselves in better position for the playoffs it definitely hurts,” said Corbin Bryant. “There are really no words at this point for how disappointed I am just for myself and the way we played in general,” said Aaron Williams. “I feel like we just didn’t come out and play. We had the playoffs this year and we let it slip away. Bills RB C.J. Spiller was back on the practice field for a third straight week, only now he’s fully cleared. He has not yet been added to the active roster off injured reserve yet. A final decision is expected to come later in the week based on how he looks in practice. Spiller shared some of rehab regimen for his shoulder coming off surgery when he appeared on the John Murphy Show earlier this week.